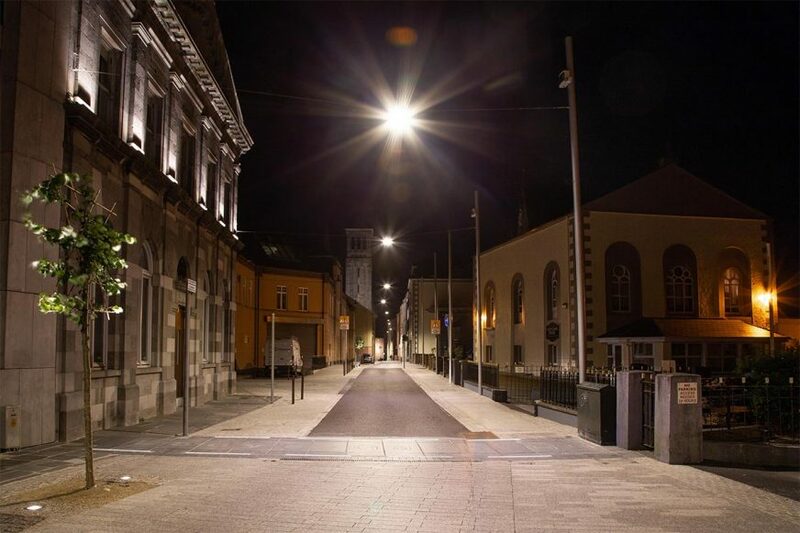 Dlight are very proud to be involved with the urban renewal project of Ireland’s oldest city. 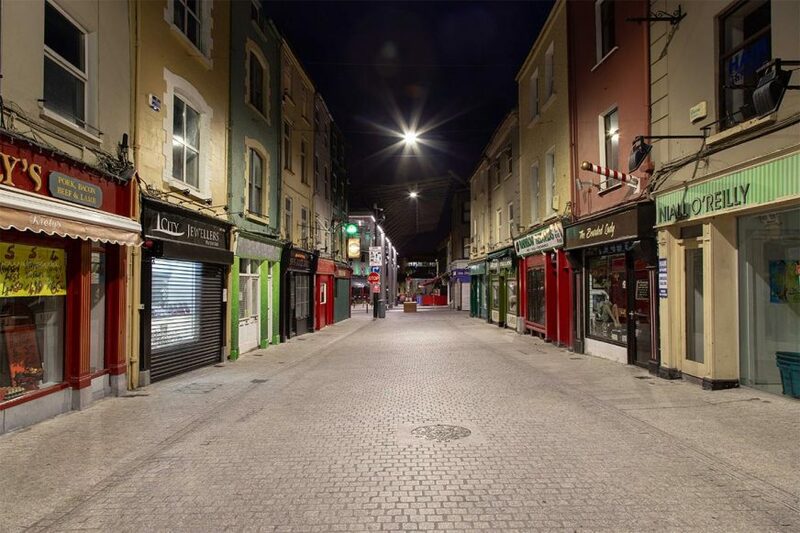 The city centre is rich in Viking & Norman characteristics with a network of narrow lanes leading to numerous culturally rich historic buildings and structures. 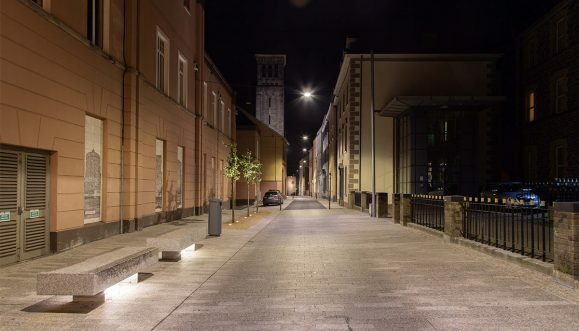 The project has been broken into a number of phases, the first being the renewal of the Apple Market. 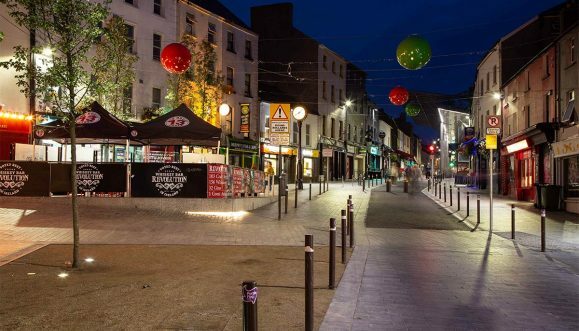 View images of the Apple Market Project here. 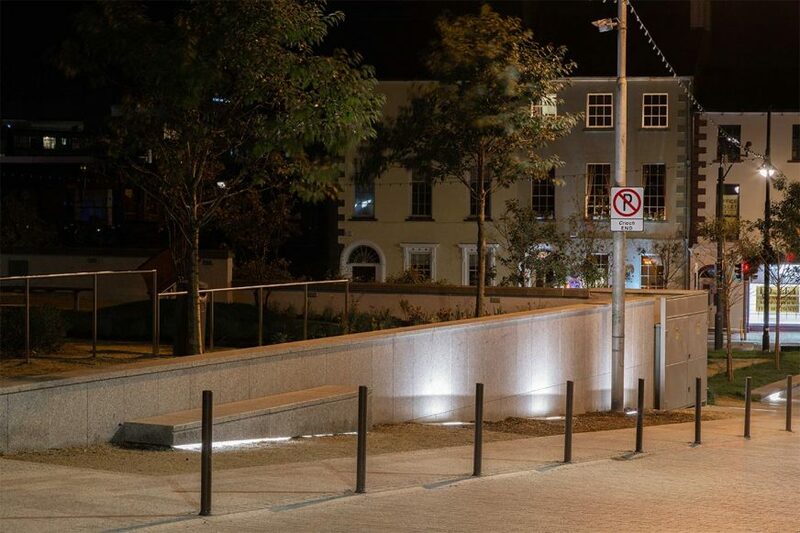 The main goals of this project phase were to deliver high-quality enhancements to the public realm through the provision of improved streetscapes, upgraded pedestrian areas, upgraded public seating, lighting and various supplementary features to establish the comprehensive range of retail, leisure and tourist based facilities on offer. 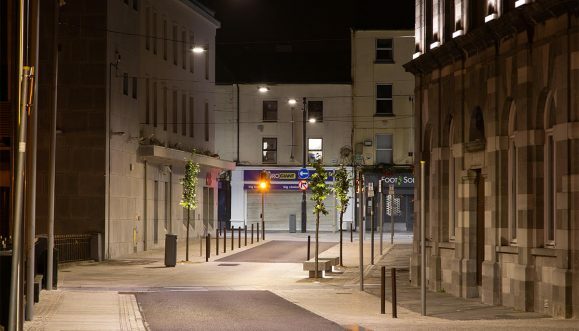 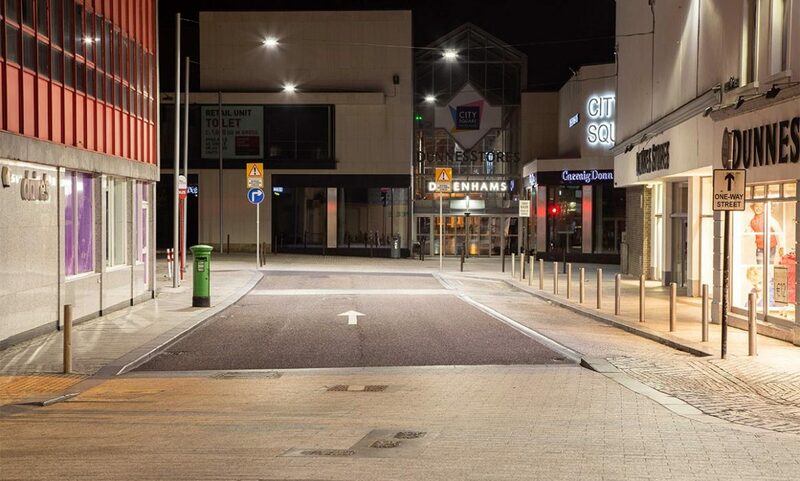 Given the narrow nature of the streets and the desire to unclutter the space, our design team developed a number of solutions which led to the finalised introduction of highly-efficient catenary suspended light fittings, suspended centrally on cables attached to the surrounding facades. 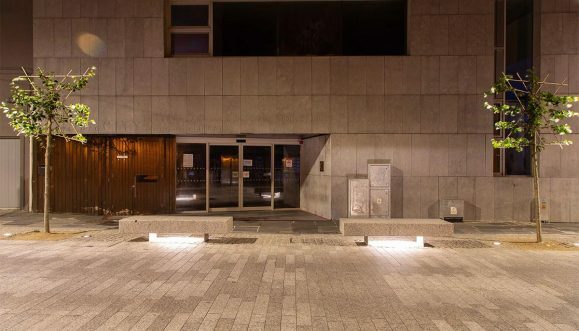 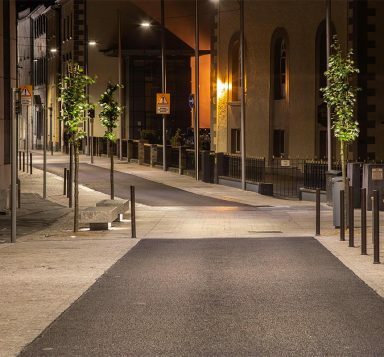 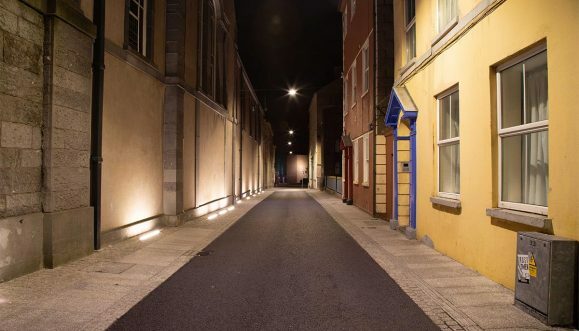 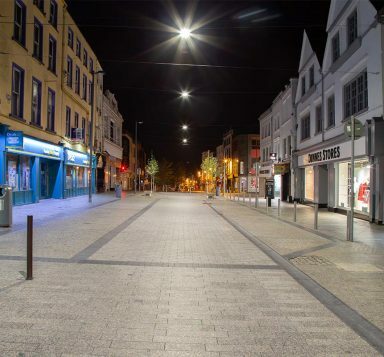 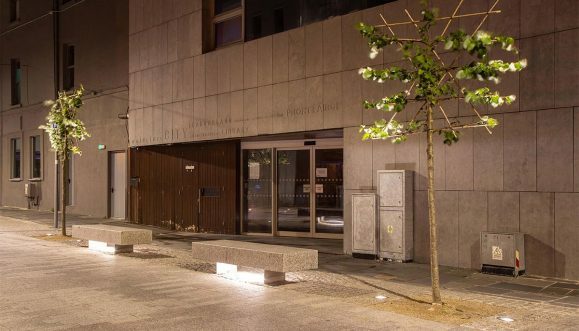 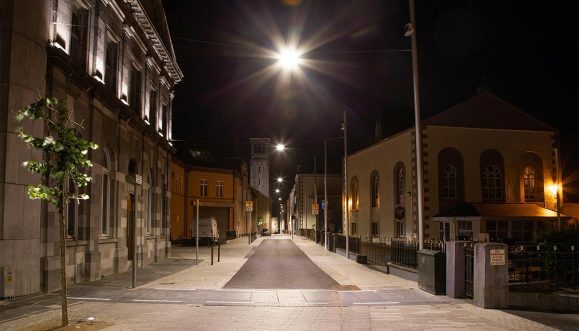 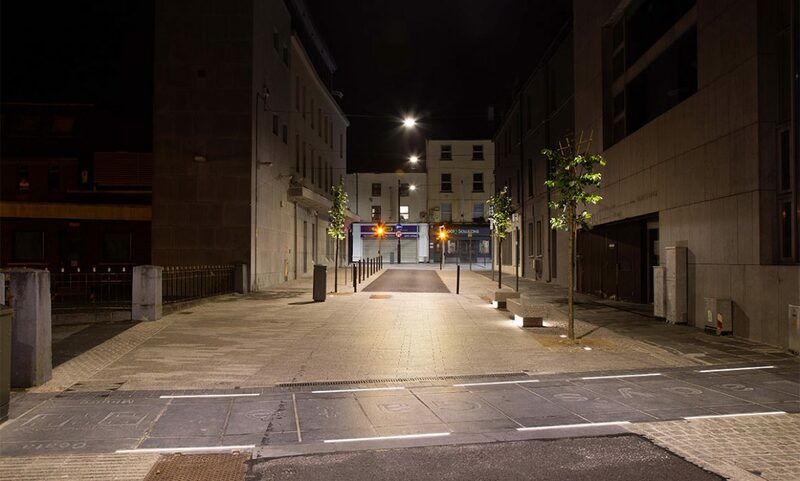 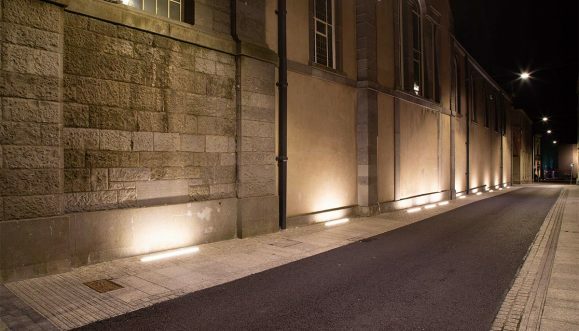 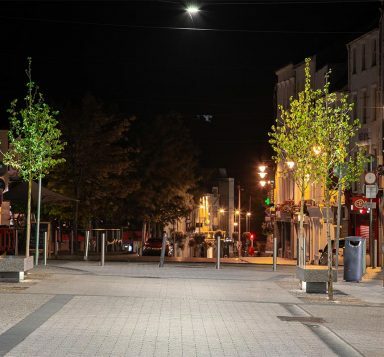 The team also produced solutions to enhance the ambience of the cities narrow lanes through the inclusion of recessed uplighting for landscaping and recessed linear led for public seating areas. 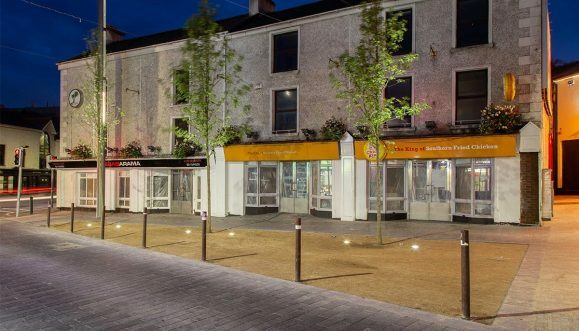 Members of the design team; DHB Architects, Frank Fox & Associates, Douglas Carroll Consulting Engineers and Nolan Construction. 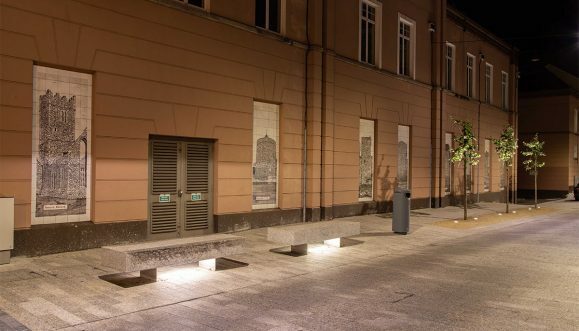 Products used: LiniLED Forta S.
Products used: Dlight Catenary Light.